Time to meet another of our amazing new Elearningworld.org writers! I first met Catherine (or “Cat” to her friends!) at the H5PCon conference in Melbourne in 2018. I was immediately struck by her enthusiasm for educational technology, her technical knowledge but overriding focus on learners, and her ability to question and reflect on things in a completely natural way. Catherine is an e-learning and multimedia practitioner with approaching 15 years experience in the fields of e-learning, multimedia authoring, and web development. 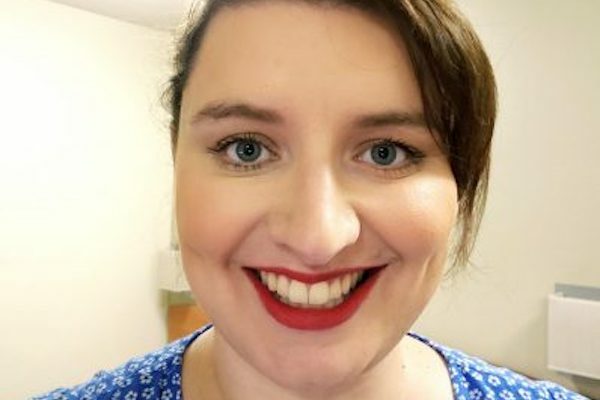 Graduating in 2006 from Federation University Australia, with a Bachelor of Information Technology (Elearning, Multimedia, Programming, Networking, Project Management) Catherine has since worked in a a variety of technology and education roles and environments. These include, but not limited to, Educational Resource Developer at University of Ballarat, Elearning and Multimedia Developer at Energex, Learning Technologies Coordinator at Barwon Health, and Learning Design Consultancy at MediBank. Her current position as Learning Technologies Specialist with TAFE (Tertiary And Further Education) NSW (New South Wales) Australia, positions her in a fast-moving and innovate environment, where she can use her skills, and also absorb all the new opportunities available. I’m really looking forward to Cat’s posts each month !